Back by popular demand! Join Alumni Engagement and the School of Art glass program for our “hot stuff,” hands-on glass workshop. 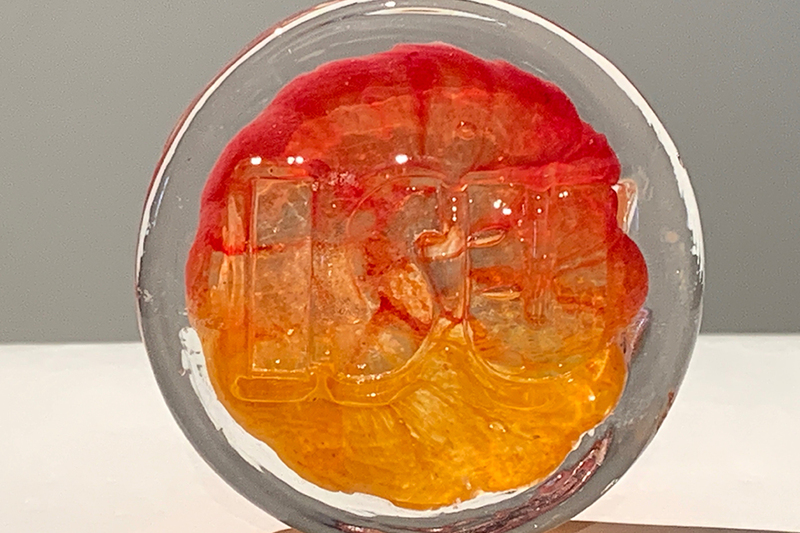 Get an exclusive look at glass-blowing, visit with Illinois State’s glass guru John Miller, and make your own Illinois State glass piece (like the one above). Each attendee will work with advanced students from the program to create a unique, one-of-a-kind, colored glass piece. Pieces created by Illinois State students will also be available for purchase. Two dates are available: April 5 from 5-8 p.m. or April 6 from 9 a.m.-4 p.m. Space is limited with groups beginning every 30 minutes. A time will be assigned when guests register. Cost includes snacks, non-alcoholic beverages, and the glass piece. A portion of each registration will also benefit the Pilchuck School Partnerhip Scholarship. Register with Juliana Nelson at (309) 438-2495 between 8:30 a.m. and 4 p.m., Monday-Friday. Participants must be 16 years or older. Limit two guests per registration. Also mark your calendar now for the Mother’s Day glass sale happening May 4 from 9 a.m.-5 p.m. at the Glass House.